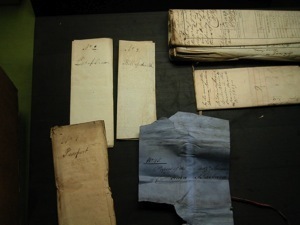 Many of the trials concerned the validity of the ships’ papers, and the courts’ records contain many bundles of original records found on the captured ships. 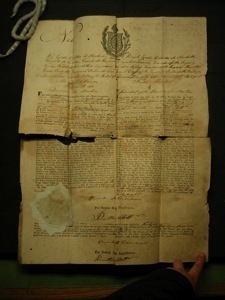 For example, the papers certifying the ship’s nationality or ownership might have been found to be forged or otherwise irregular. 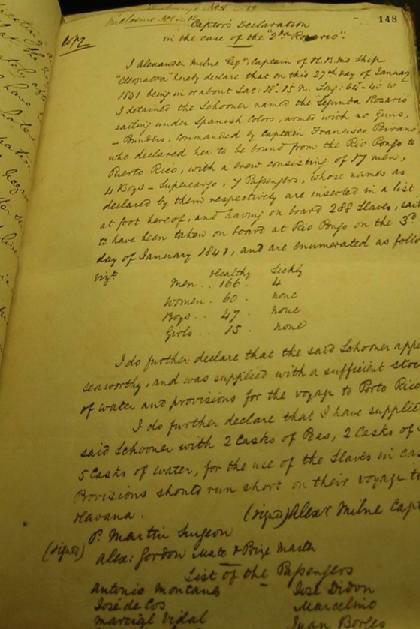 During the time period when the slave trade was prohibited by some nations only north of the equator, the ship’s log was sometimes altered to suggest that the ship had been sailing in legal latitudes when it had, in fact, sailed in waters where the slave trade was prohibited. 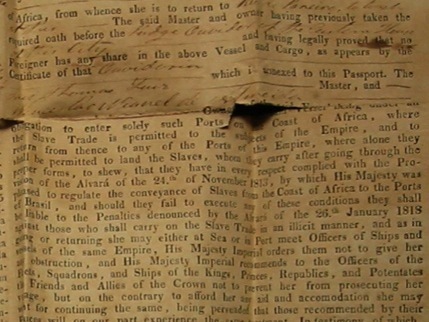 During this period of transition from legality to illegality, some ships carried passports defining where they could sail and how many slaves they could carry, like the one below, issued by the Portuguese government. 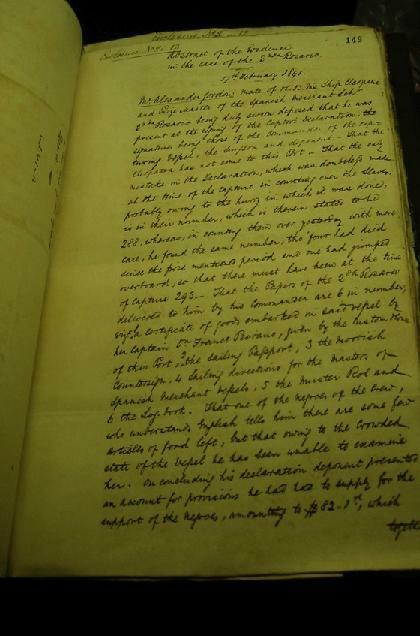 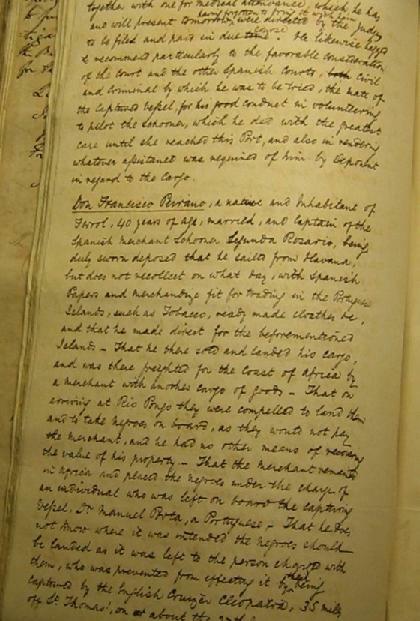 The captain of the naval vessel that had made the capture of the slave ship would submit a declaration describing the circumstances of the capture and the condition of the captured ship and the persons found onboard.